Why did you sign up with Enterprise Fitness? Mid of last year I decided to step up my training, I wanted to compete. I have been inspired over many years by male and now female bodybuilders. I went looking for a trainer from ‘old school’. I did find him but was not happy. I continued my search… I found Enterprise Fitness. After speaking to Mark about his business and what he offered, I then asked him to clarify some questions one of then was what he thought of Protein Shakes. Listening to his answer blew me away. I wanted to hear more of what he had to say. That day I signed up. On the Jan 22 of 2014 my journey began. I did what was asked of me. With very minimal questions my heart & gut told me I was in the right place. The saying is so true “If the student is ready the teacher will appear”. I have learnt a great deal and hope to continue to learn from Mark & his team. I learnt new training techniques to what I had learnt when I was completing my Cert 3 & 4 in Fitness. I am a Personal Trainer…. But at EF I became the client. As I was shown different exercises I started to feel more confident in that I was learning something new and that it was helping me and would also help and improve me as a Trainer. I was very excited. As several comp dates passed I finally decided to compete in the INBA All Female Classic on the 22nd June. That was 5 months exactly from when I walked into EF. I felt I was ready…. I received 3rd place in the Bikini Momma Novice Division and 6th place both in Fitness Model Novice & Open. I thoroughly enjoyed the journey. The EF Team supported me all the way, which made it a stress free and fun time. What has changed since training with Enterprise? I feel more confident in my own training and applied some of what I have learnt to my clients’ programs. I have never competed in any sports and at my age to be able to fulfill this dream is overwhelming. I feel I have more in me, which has made me set another goal, to compete in the Figure Division. So I will be in contact with Mark once again in the near future! 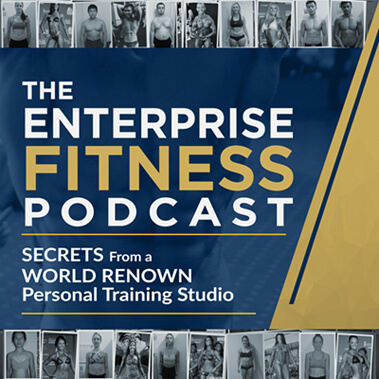 Would I recommend Enterprise Fitness to my family & friends? Absolutely! Look at my results! A month in and I was already bragging about EF.